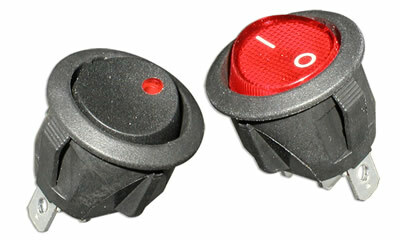 The illuminated RR3 Series miniature rocker switch is round in shape. Illumination options are neon or tungsten lamp. With multiple latching options, the RR3 Series miniature SPST round rocker switch offers quick connect/solder lug termination. 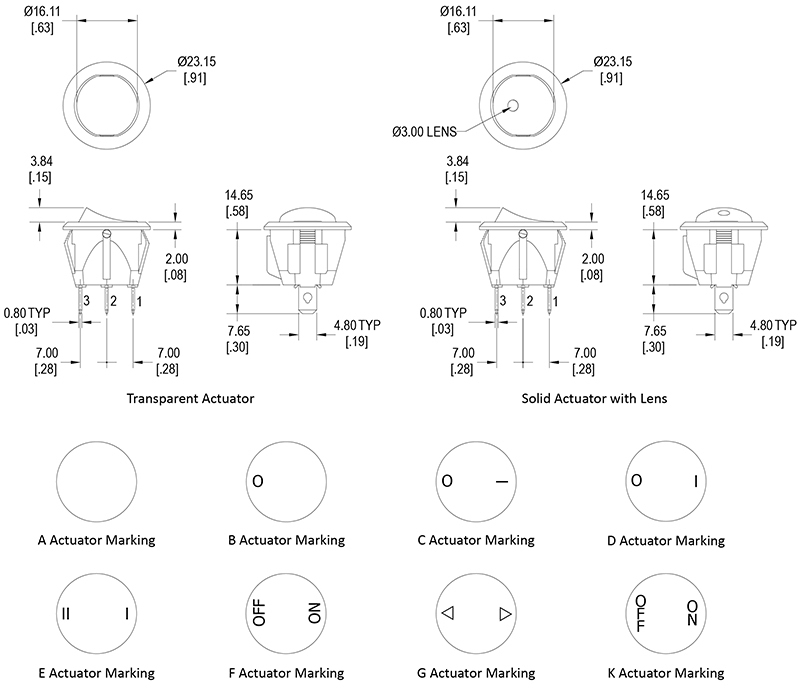 Multiple lens color options, multiple actuator marking choices, with multiple housing and actuator color choices make the RR3 Series mini rocker switch extremely versatile. If you prefer something a bit simpler in design, check out the non-illuminated SPDT rocker switch.